So your big day is finally here and you get to have your braces removed. You’ve been waiting for this day since you first had your braces put on. You’ve worked hard on following your dentist’s directions and hopefully have experienced the results that you and your dentist had hoped for. Now, after your braces are removed, there is a new protocol you can adhere to in order to experience the maximum benefits of your braces and continue to rely on a rock-solid foundation for your oral health. And make sure to take care of your retainers! Your orthodontist tells you to wear a retainer for a reason. Your teeth will still have a tendency to move back to their original positions, after all. As a matter of fact, it is during the first few weeks/months of having your braces off that you’re most susceptible to having your teeth shift back into their old places. Depending on the results you’ve experienced with braces, your orthodontist may have you wear a retainer all day, but, eventually, you’ll only have to wear your retainer at night. It’s crucial to keep a relationship with your dentist, making sure to schedule and keep your check-ups twice a year — that way you’ll stay on top of potential issues. 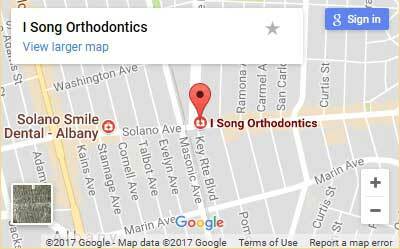 If you’d like to know more about what to expect after getting your braces removed, or if you’re considering the possibility of getting braces, contact I Song Orthodontics today to schedule a consultation with an oral health professional.